Durham & Gloucester Court is a step closer to construction as Brent Council announces a Development and Sale Agreement with Telford Homes. 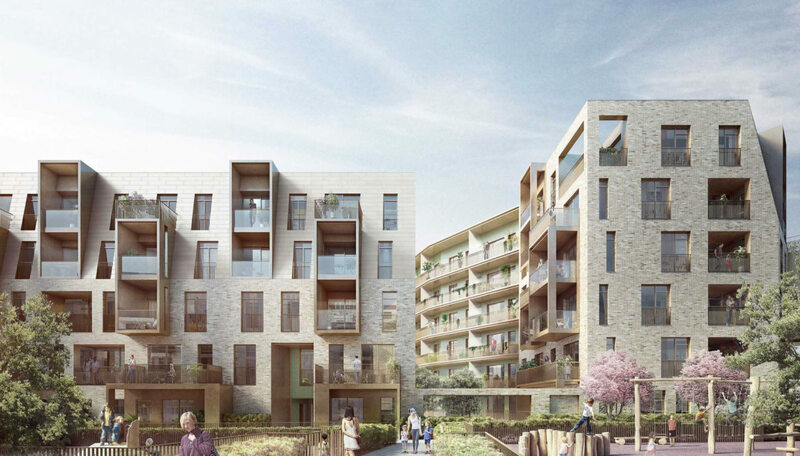 Alison Brooks Architects have designed 84 of the 236 units in this mixed-tenure residential development which forms part of the South Kilburn Estate Regeneration Masterplan for the London Borough of Brent. Phase 3 of the Masterplan is led by Feilden Clegg Bradley Studios with Alison Brooks Architects and Gort Scott, with landscape by Grant Associates. The scheme has received detailed planning consent and Telford Homes intend to start on site by September 2017, with completion due in 2021. For more about Durham & Gloucester Court, click here.